All children grow up (with the exception, of course, of Peter Pan) and that includes our autistic children. Even if they may not be at the same developmental age or stage; that doesn’t stop the onset of puberty or the fact that our autistic toddlers and preschoolers will eventually become autistic adults. This is a new stage for me, parenting an autistic teenager and while she still doesn’t come with a manual; I’m doing my best to help my daughter. 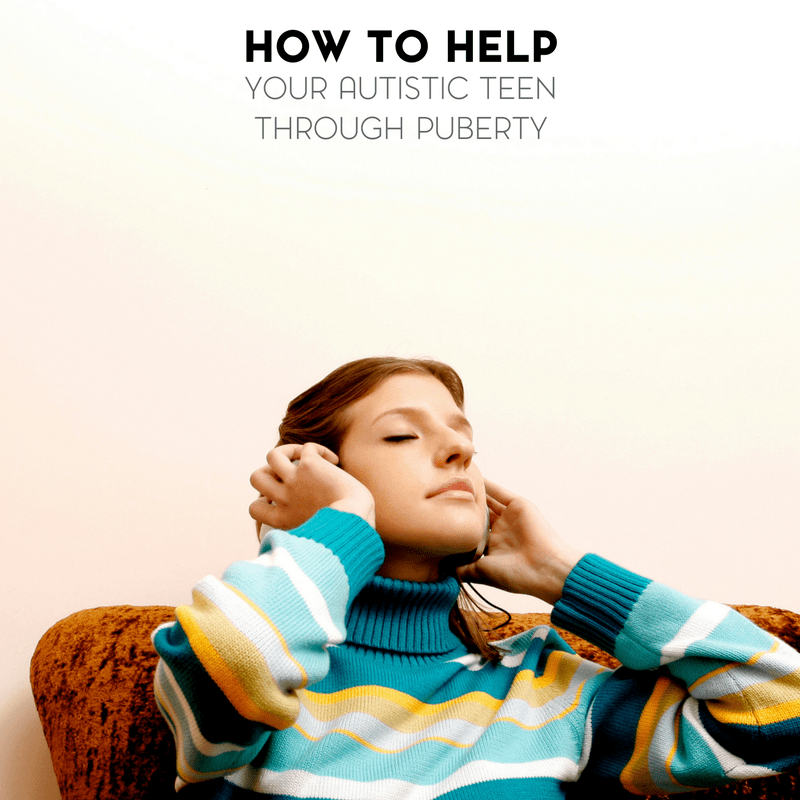 Here’s a few ways to help your autistic teen through puberty. After receiving Sweet B’s initial diagnosis, and eventually coming to terms with said diagnosis, a stark reality hit me in the face. One day, and sooner than I would realize, my autistic toddler would be an autistic teenager. And there was nothing I could do about it. Kids grow up, it’s a part of life. And just because they grow up, it doesn’t mean that their autism goes away or becomes any less. Right now, we’re also in the beginning planning stages of what she’ll do after high school. We’re fortunate that Wildwood school services are extended to her until she’s 19, but after that… Well, we’re trying to figure all of that out. We have a great support team in place that includes her teachers and service providers at school (speech, occupational therapy, social work), and her medicaid service coordinator. We’re also participating in the New York State PROMISE program to help plan for appropriate afterschool services, develop functional job skills and things of that nature. Hormones do a number on any child. Puberty is not always a fun time- for both parents and children. We see it with T when he’s here on the weekends. The moodiness, occasional defiance, testing boundaries… When he was starting to enter into the tween phase, so it’s a new adventure for Kyle. When puberty hits, young adults go through serious changes in their bodies and minds, and parents have little or no control over many situations. 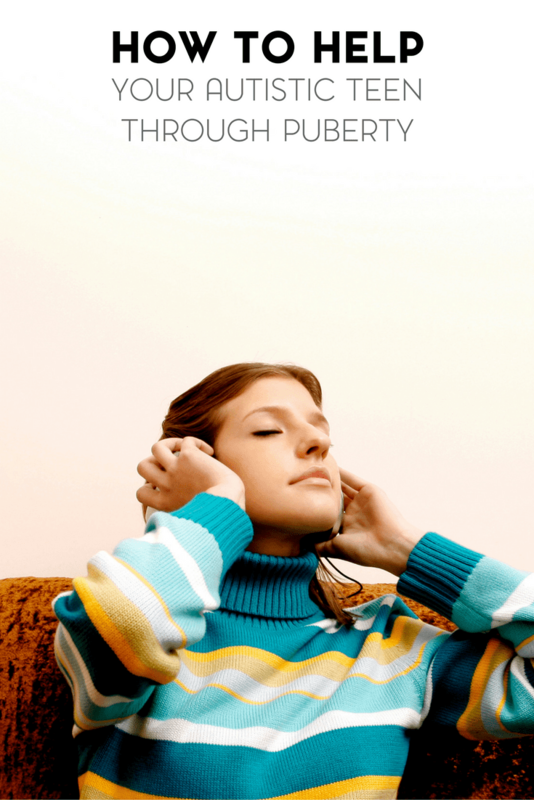 In an autistic child, puberty still happens. Although your autistic child is not experiencing puberty in quite the same ways as others his or her age, major hormonal changes still occur in the body. This can lead to extreme results, and this can be either good or bad depending on how your child reacts to the new hormone levels. One of the scariest side effects of changes in an autistic person’s body is the onset of seizures. Many autistic individuals experience seizures from birth to adulthood, but even if your child does not suffer from these episodes, he or she may begin to experience seizures during puberty and afterwards, due to the new levels of hormones in the body. We were, told, in fact, that in girls this is common around the age of 11. Strange as it may sound, violent shaking seizures are not necessarily a bad thing. Almost a quarter of autistic children experience seizures, but many go undetected because they are not textbook versions of seizures. If you recognize that your child is experiencing a seizure, you can do something about it, and doctors will be able to better treat your child. However, if the seizures are subconsciously happening, you and your child may not realize it. The result of these small hidden seizures can be a loss in function, which can be devastating, especially if you child was improving before puberty. Regular check-ups during puberty, therefore, are extremely important. If seizures do become an issue with the onset of puberty, don’t fret. In addition to your regular support network, you may consider reaching out to networks and support groups that are specifically for dealing with seizure issues. We were fortunate that this didn’t happen with Sweet B to this point, but our pediatrician was also quick to remind us that we weren’t quite out of the woods yet. The changes might not necessarily be a bad thing. New hormone levels in the body and the other changes associated with puberty might help your autistic child grow and succeed in areas in which he or she normally had no skill or interest. Many parents report that their child’s behavior improved, and that learning in social settings was easier. But, your teenager with autism may handle them differently than your toddler or preschooler with autism. As she’s gotten older, it’s become easier for me to recognize her triggers and hopefully put an end to her meltdowns before they start. I’ve also started to discern between a meltdown and just being a teenager and needing space. The important thing about puberty is to learn to monitor the changes in your child very carefully and to ask your doctor lots of questions. Remember that puberty is a difficult experience for any young adult, and so it will be even more difficult for someone with autism. Try to practice patience and understanding with your teen, and be careful to regulate his or her autism so that the transition from child to adult will go more smoothly. Another important thing to keep in mind? This too shall pass. You survived the early years and now it’s time to add another surviving puberty and teen years to that list. Stay strong autism moms and dads- you got this.